The kids might be out of school, but that doesn’t mean summer vacation can’t be a great learning experience, too. Lafayette, Louisiana is one of the most culturally rich, biodiverse communities in the country, making our city fertile ground for reaping knowledge and having fun at the same time! Follow this travel itinerary, and your kids will definitely give this vacation an A+. Lafayette is located in Acadiana, the heart of the Cajun Country. Our area was founded by French-Canadian immigrants in the 1700s. 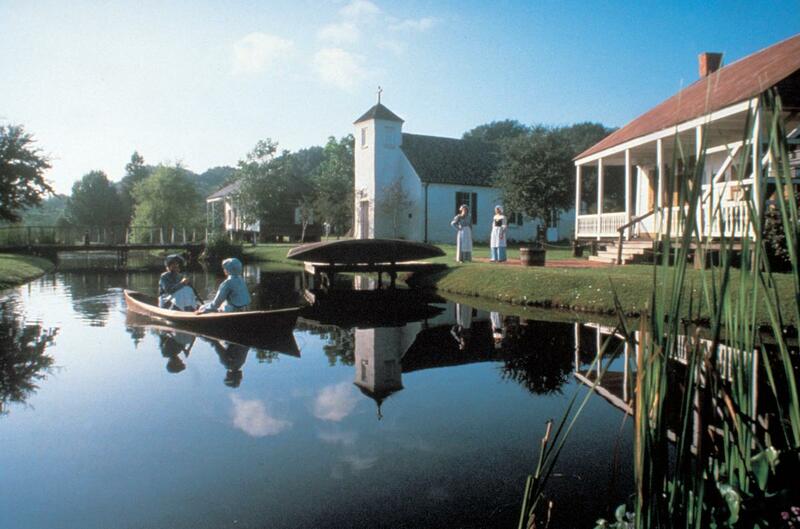 These early Acadians, or Cajuns as they became known, created a distinctive culture unlike any other. 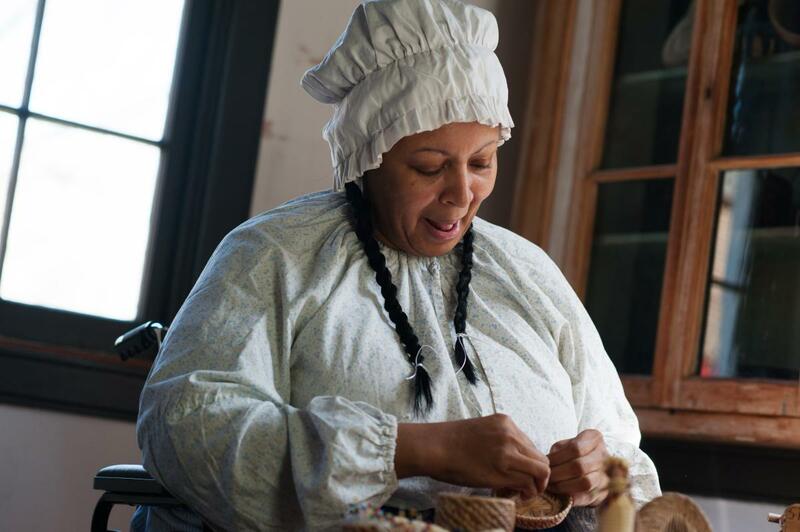 Vermilionville is a living history museum and folklife park in Lafayette for visitors to learn about the Acadian, Native American and Creole people from the 1700s and 1800s. Hear special programs in French, participate in free festivals, watch artisan demonstrations and tour seven original homes on site. You can even take a trip down the Vermilion River and imagine what life was like on its banks centuries ago. Another historic village worth visiting is LARC’s Acadian Village, a showcase of 19th century homes complete with wooden pegs, mud walls, cypress wood and a high-peaked roof. Take a look inside the blacksmith shop and art gallery, then pick up authentic souvenirs like Zydeco CDs and Louisiana food items in the general store. Not far from Lafayette in St. Martinville, you can retrace the steps of Evangeline, the most famous of the Acadian exiles and the heroine of the Henry Wadsworth Longfellow epic poem. One of the oldest Catholic churches in the U.S., Saint Martin de Tours Church was founded in 1765. 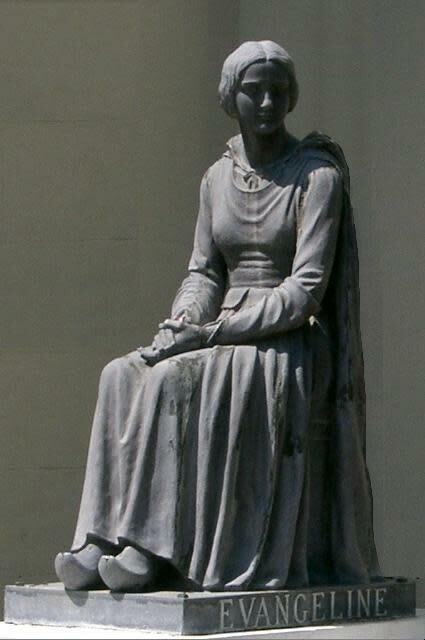 Visit Evangeline’s statue, then take a short walk to Evangeline Oak on Bayou Teche, where legend has it she reunited with her lost love. 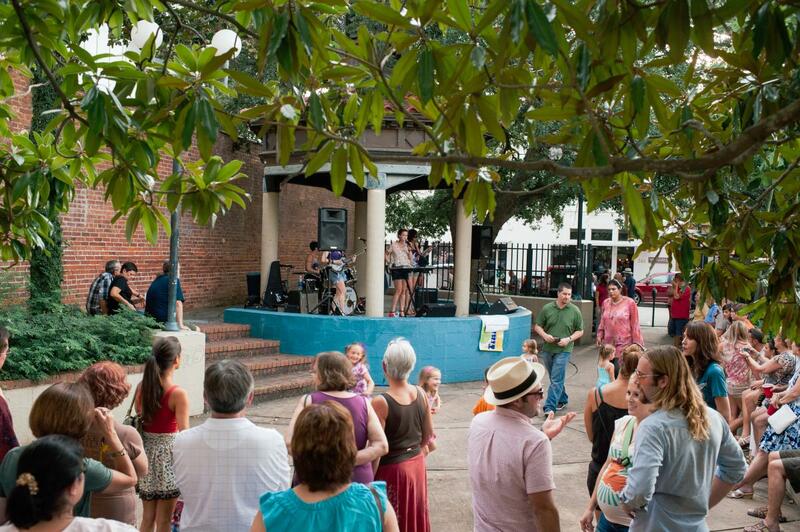 Thanks to our rich Cajun influence, Lafayette is home to a colorful arts and cultural scene. The second Saturday of every month, Downtown comes alive at ArtWalk when art galleries and studios open their doors in a free open house. Enjoy live performances by dancers and musicians in this festive street-party atmosphere. 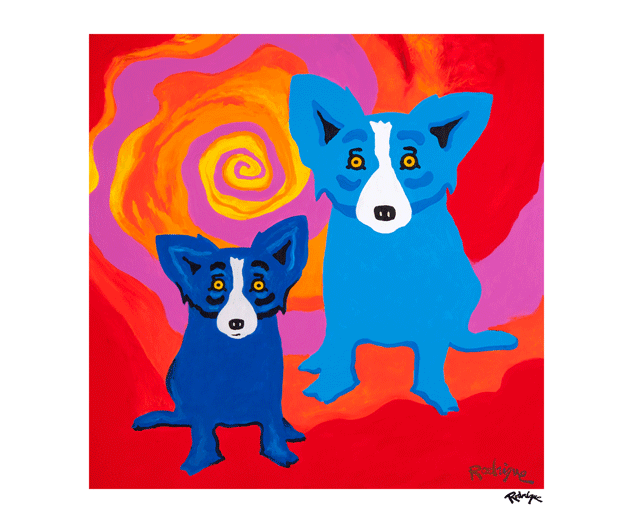 Art buffs should not miss the George Rodrigue Gallery in the Oil Center for the internationally renowned Blue Dog paintings. Kids will love the bright primary colors and whimsical works so much, they’re likely to go home and paint their own Blue Dog masterpiece. Louisiana is the birthplace of Zydeco and Swamp Pop, lively music played with wash boards, banjos, accordions and fiddles. 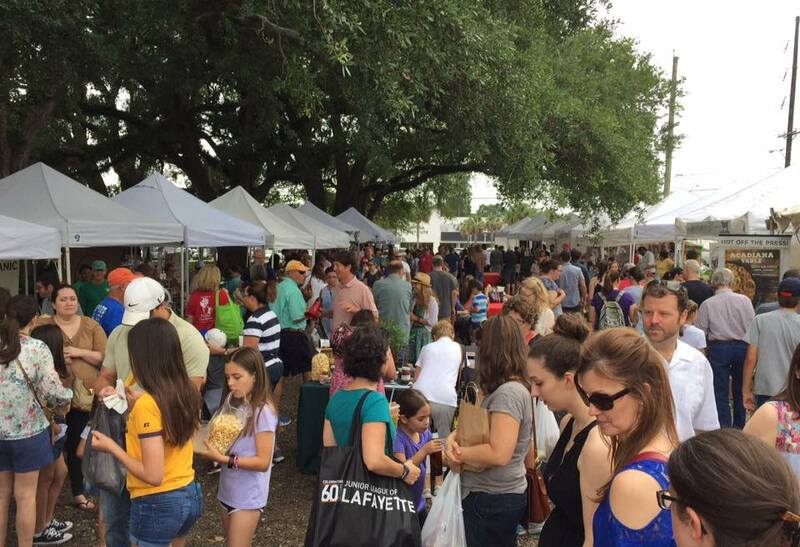 Saturday mornings, take the kids to the Lafayette Farmers and Artisan Market at the Horse Farm for an impromptu performance by locals or to Buck and Johnny’s for breakfast, music and dancing. For dinner, Prejean’s and Randol’s present local music nightly. In the spring and fall, head to Parc Sans Souci on Fridays for a free Bach Lunch concert. 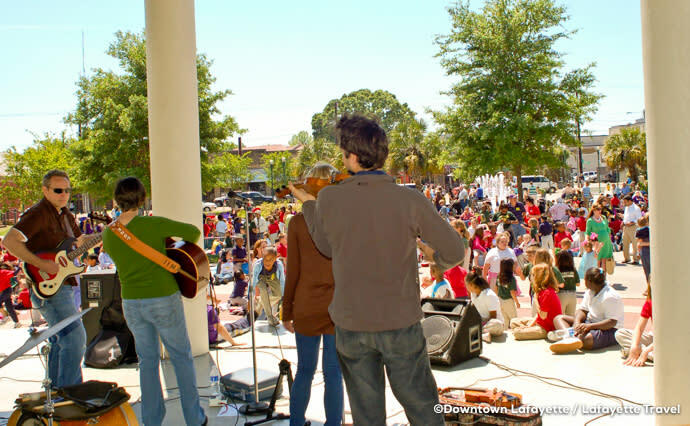 Local musicians perform from noon to 1 pm. 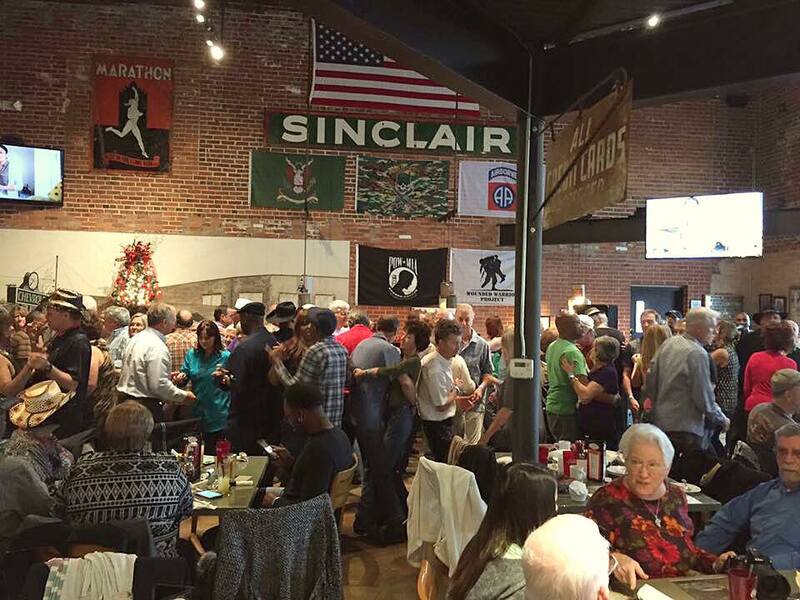 Lunches are available for purchase by some of Lafayette’s most popular restaurants, who set up shop in the square. In the heart of downtown is the Lafayette Science Museum, with displays and exhibits that are fun for all ages. 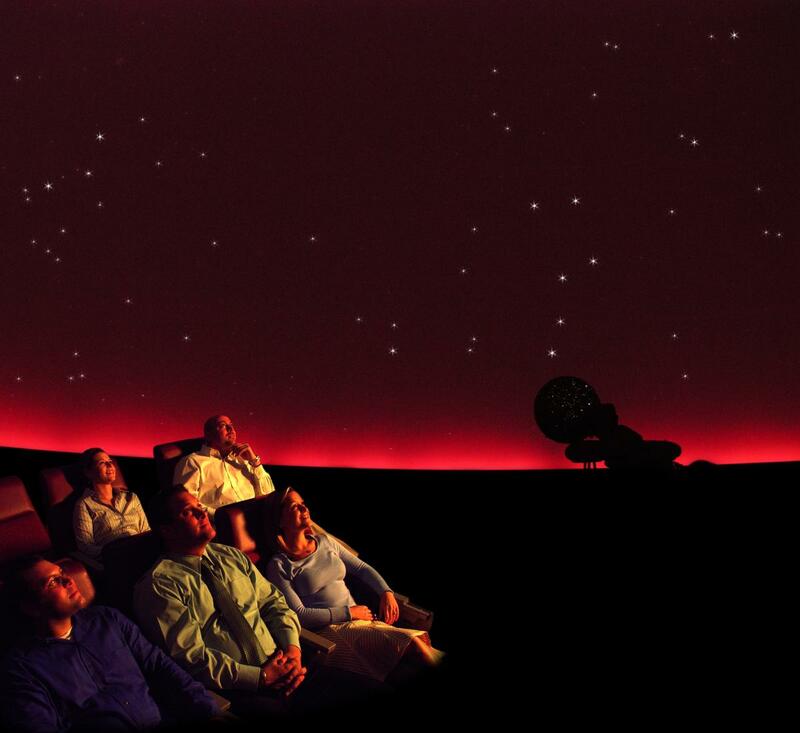 See real-life meteorites, watch a star-studded show in the planetarium, learn about Louisiana’s oil and gas industry and get creeped out by spiders and bugs in The Crawl Space. Just 30 minutes from Lafayette is the Atchafalaya Swamp, the largest swamp in the United States—and even larger than the Florida Everglades. The basin, known as America’s Wetlands, is filled with 270 species of birds, 100 types of fish, and 65 kinds of reptiles and amphibians, including thousands of alligators! 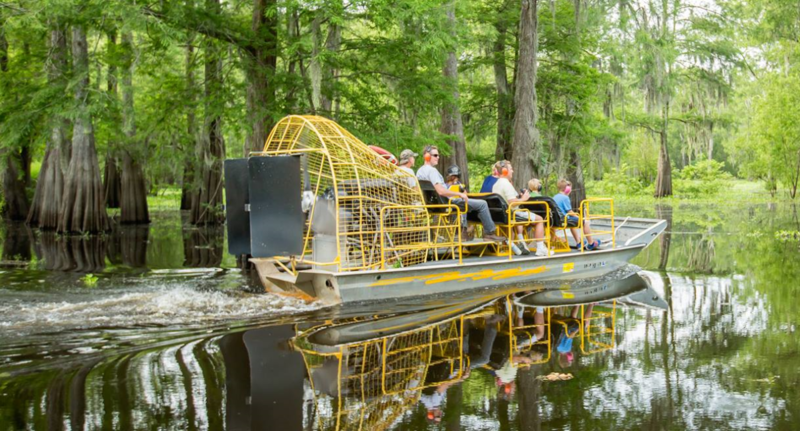 Get up close and personal with an airboat tour on the Atchafalaya Basin.